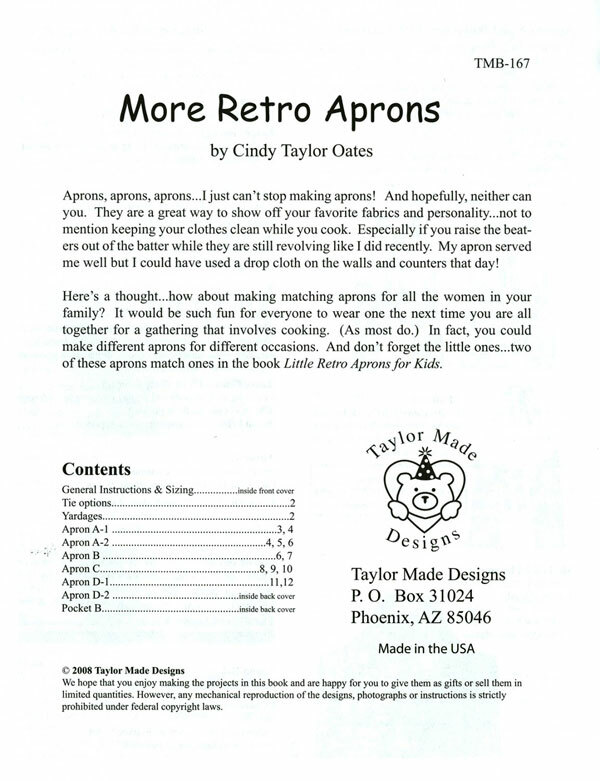 "More Retro Aprons" by Cindy Taylor Oates for Taylor Made Design includes patterns and instructions for 4 different aprons/2 of the designs offer unique variations for 6 different looks, as shown on the front and back cover images shown above and below. 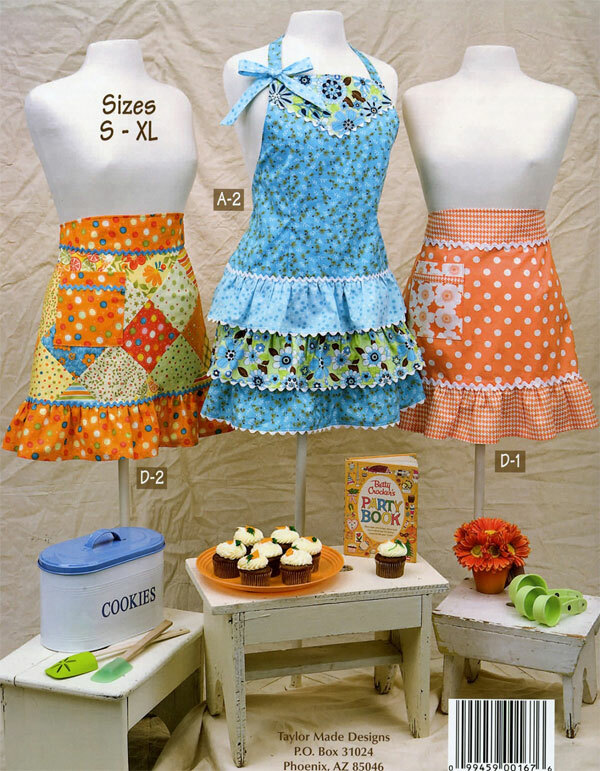 Cindy says, "Aprons are a great way to show off your favorite fabrics and personality...not to mention keeping your clothes clean while you cook." Tracy likes to wear an apron while sewing and/or quilting too. Apron pockets are a great place to keep essential tools & small gadgets handy...and help keep lint & threads off your clothes. 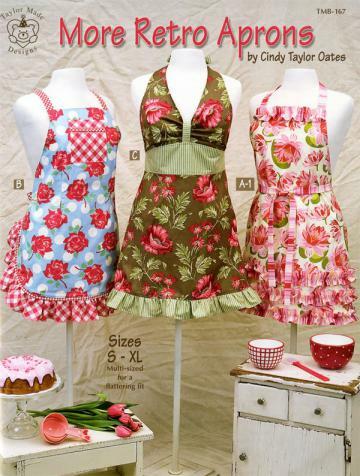 Cindy has a great idea for gift making: She says, "...how about making matching aprons for all the women in your family?" Then you can all wear them at your next family cooking event." GREAT IDEA, Cindy! Full-size center pull-out patterns are included in the pattern book. HINT: SAVE your original master pattern pull out -- trace off the desired size on pattern tracing material. This preserves your original master pattern so you may make up additional sizes/styles in the future.